The Nest Cam Indoor Wi-Fi camera earned the second highest score in this review, tying with the iBaby Care M7 Wi-Fi baby monitor. This easy to use camera earns high marks in most metrics including video quality, range, battery life, and features. With the only disappointing metric being sound clarity, parents can rest assured the Nest Cam has what it takes to keep an eye on baby. We like that the Nest Cam offers a connection to your baby wherever there is an internet connection, but we caution parents that Wi-Fi connections can fail and lose connection without warning. Despite that, the Nest Cam performed well in our tests with only a 1-second delay and no connectivity issues. This is one of the best Wi-Fi options we've seen. However, should the idea of delay or lack of connection leave you up at night with worry, then a monitor isn't doing its job, and you might feel more comfortable with a high-scoring dedicated monitor like the Philips Avent SCD630 which won our Editors' Choice award for the best dedicated monitor. The Nest Cam Indoor Wi-Fi monitor comes with everything you need to set up and install the camera for quick use. With superior images and easy to use features, the Nest Cam is a stand out product in our video monitor review. The Nest Company started in a garage with 16 employees. In December of 2010, they created their first Nest Thermostat prototype. In April of 2012, they released the first app and software to control the thermostat, and in May of the same year, the Nest Thermostat was available for sale. Shortly after the thermostat, Nest created smoke and CO2 detectors that integrate with their app and software for more home protection. In June of 2015, Nest released the new Nest Cam (formerly Drop cam made by Google). Along the way the company grew and now has two locations in California where they continue to create and innovate. Nest is owned and operated by Google. In case your internet isn't fast enough to properly support the monitor, be sure you buy from a retailer with a simple return policy. Test the monitor right away to ensure sufficient bandwidth. Even if you can stream movies, video monitors upload and download using more bandwidth than normal streaming. We recommend parents use a separate device for monitoring. We don't recommend using your phone to avoid losing monitor connection when on a call. Change the default password! When you skip changing the password, it is much easier to hack in and look at your baby. The Nest Cam Indoor Wi-Fi (blue) earned a higher score and a tie with the iBaby Care M7 Wi-Fi monitor. The significantly higher score and impressive rank make it clear why the Nest Cam earned a Top Pick award for longevity. The information below details the results of our extensive testing process for the Nest Cam. The Nest Cam earned a 10 of 10 for its range. This result is the metrics highest score and ties with all the Wi-fi options. The Nest works in anywhere there is an internet connection. Both the camera and the parent device will need an internet connection of some kind to monitor the baby. This camera connection can happen with Wi-Fi or Ethernet cable depending on preference. Nest Cam can be viewed via computer, or a smartphone or tablet with a data plan. Wi-Fi can be a good option for larger homes or homes where a dedicated monitor may not work (over 4-5 walls of interception). The Nest Cam Indoor Wi-Fi can be used on a variety of parent devices including Android and Apple devices, both tablet and smartphone, and computers with unlimited viewers possible. The Nest Cam earned a 4 of 10 for sound clarity. All of the Wi-Fi options received the same score for sound in our tests. The sound from the Nest Cam didn't offer the best clarity and didn't do well in tests compared to the competition. It has adjustable sound sensitivity, but it isn't great, and no matter how we set it we couldn't turn off the white noise in the background. This lack of adjustability means you will be listening to some kind of sound through the monitor all night. The sound was cutting in and out while we tested music in the room and it sounded grainy. The crying baby had a "tunnel" sound that echoed with some brightness. Daylight images with the Nest Cam are almost impossible to tell from real life with nice color representation. The Nest Cam earned a 10 of 10 for image quality. While the video you see depends on the device you use, the quality is primarily a result of the camera quality. The Nest Cam daytime images are excellent with impressive color, but they are not as good as those we viewed using the iBaby Care M7 Wi-Fi. While the zoom feature on the Nest Cam Indoor Wi-Fi can result in pixelated images, it does offer a closer look at baby and allows parents to see baby's facial features. The zoom feature is easy to use and brings you close to the action, but it doesn't seem to enhance the image much, and the picture can look pixelated. This pixel look is likely a result of digital zoom versus a true zoom feature. However, you can still see baby's features, and the image is sharp enough to read the letters on the eye chart. Nest Cam night images are bright and allow for good visibility in the entire field of view as opposed to the "spotlight" effect of many of the other monitors night vision. Night images for the Nest Cam are better than the night images of the iBaby Care M7 Wi-Fi, and the quality is pretty incredible with more "light" and brightness than you see in the daytime images. You will have no problems viewing your baby and all the action in the middle of the night with this camera. The Nest Cam Indoor Wi-fi setup and daily use features are easy to use compared to most of the competition, and the user interface is one many parents will feel comfortable with right away. The Nest Cam earned an 8 of 10 for ease of use. The Nest Cam is fairly easy to set up, even if you need to connect to your device manually. You can plug it into your computer and follow the prompts, or download the app and follow the online instructions. While not as simple as a dedicated monitor with the plug and play setup, it is still simple and intuitive if you are comfortable with technology. This monitor is the easiest Wi-Fi product to zoom, and pan (though not a true pan as the camera is not remotely controlled). It doesn't offer many on-screen features, but most are in the onscreen menus. The mic button is easy to locate, but the other features are few clicks away much like most of the competition. This monitor has a 1-second delay in what you see and what is happening in the room. This delay is less than the other Wi-Fi options but not as good as the dedicated monitors. 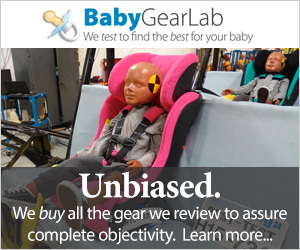 It also has an audible alert when monitoring if you prefer that to a baby's crying. The app for this camera does not continue monitoring if you use the device for something else. The Nest Cam earned a 10 of 10 for battery life, on par with the other Wi-Fi options in the review. The camera itself plugs in and will not accept batteries, and your parent device battery life will depend on what device you use, and what other activities you are doing with the same device. The Nest Cam will only work if you leave it open (it will email alerts, but that not sufficient for baby monitoring), but the battery life still depends on what you are doing with the device. Switching between applications, or taking phone calls while running the Nest Cam app will both interrupt monitoring and decrease battery life. In general, we estimate the battery life of most parent devices that run this application to have at least 10 hours of life if used only for Nest Cam monitoring. We also recommend using a device other than your smartphone for monitoring, so you keep constant contact with your baby. The Nest Cam has 2 way talk to baby on the main viewing screen and other features can be easily found within the menu in just a few clicks. The Nest Cam earned an 8 of 10 for features. This camera can be used in conjunction with 10 additional cameras in one home, and unlimited homes connected to one account. The Nest Cam camera has an EMF reading of 0.92 with the reader 6ft from the camera. On average, as with most of the monitors, the EMF readings decrease as you move the reader further from the camera. We didn't measure EMF from the parent unit as this level will vary depending on the type of device you use. After researching the various security issues of each Wi-Fi enabled monitor in this review we feel the Nest Cam, like its predecessor the Dropcam, is the safest and least likely to be affected or accessed by outside hackers. Barring the option of not using a video monitor at all, nothing is completely failsafe. However, we are confident that the Nest has what it takes to make most parents feel secure with the history and technology to back up their product and claims. "The Synack folks were not actually able to remotely compromise any of our cameras — only ones they had physical access to. Most importantly, we have excellent security for preventing remote access. Our cameras won't communicate with anyone on the Internet, only Dropcam cloud servers, and to the best of our knowledge, we haven't had any intrusions or access to private data to date." Nest does advise that parents keep their app up to date and avoid entering their username or passwords anywhere other than a Nest site or app. Amazon $158.00 - 21% off!